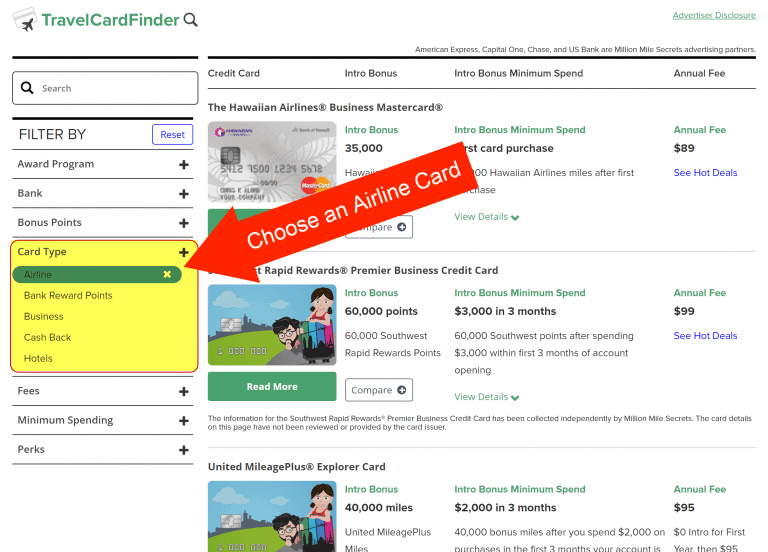 EVERYTHING You Need to Know About Our New TravelCardFinder Tool! Last month I gave you a brief introduction to our new TravelCardFinder tool. I’m really excited for this new feature, because I think it’s a powerful way to help folks find the perfect credit card for their situation. So I thought I’d give y’all a more in-depth post for making the most of this tool. I’ll show a few examples of how TravelCardFinder can work for folks looking to get Big Travel with Small Money. If you’re not sure which credit card to get next, you need TravelCardFinder! This tool helps you find the ideal card to accomplish your goals. Even if travel isn’t your main objective. You can watch the video guide below for a quick overview of the TravelCardFinder tool! 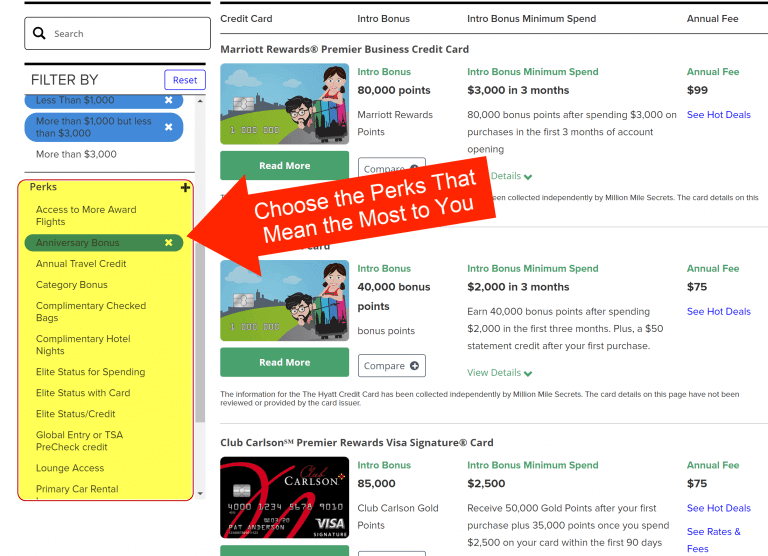 On the main page, you’ll find every credit card, along with the current sign-up bonus, minimum spending requirements, and annual fee. There are also plenty of search filters on the left side of the page. You can also compare cards if want to better weigh their perks! 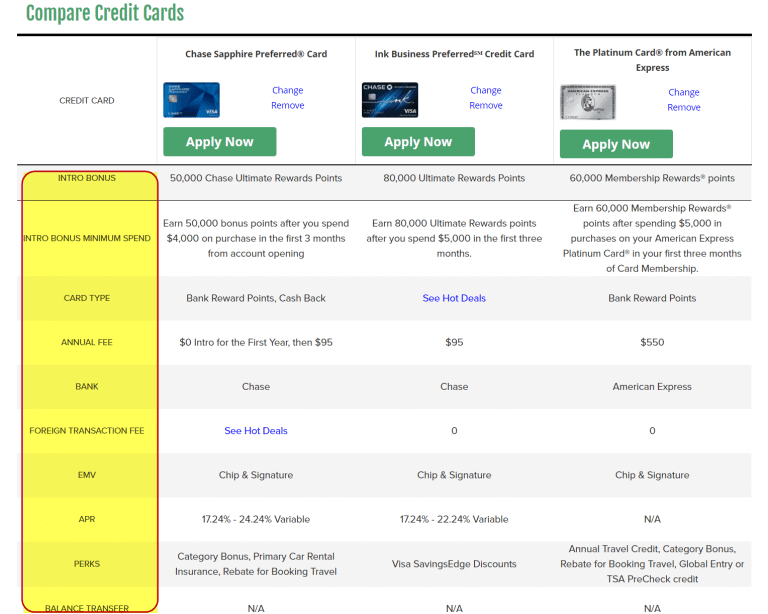 Just click the “Compare” button to the right of the big green “Apply Now” button under each card you’d like to compare. This is an effortless way to view the pros and cons of each card after you’ve narrowed your search. You’ll Get a Side-By-Side View of Details Like Annual Fee, Card Issuer, APR, Etc. Let’s take a look at examples of situations when the TravelCardFinder tool will come in handy! If you’re looking for a cheap way to visit the family for Thanksgiving in the neighboring state, you might do well by opening a hotel credit card. Expand the “Card Type” filter on the left, and select “Hotels“. If you’re unwilling to put a lot of spending on the card to earn the sign-up bonus, you filter the cards by the amount you’re comfortable with. For example, if putting more than $3,000 in spending on your card in 3 months will be a struggle, you can eliminate all cards with a higher minimum spending requirement. And you can select as many filters as you like. 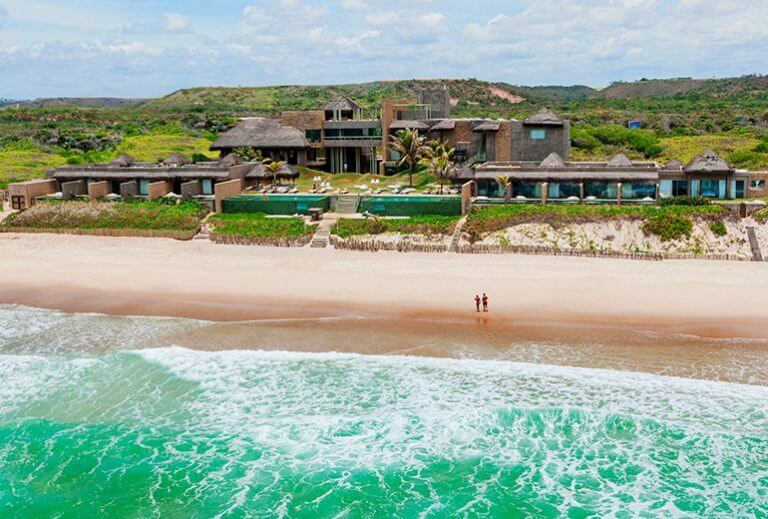 There are lots of hotel credit cards out there. So look through the list of perks to find a benefit that stands out to you. If you plan to visit the family every Thanksgiving, you might want to choose a card that has an anniversary bonus. Several cards, like the Chase Marriott, Chase Hyatt, and Chase IHG cards come with a free night every year after you renew your card. It’s easy to get more value from that single perk than you’ll pay for the annual fee. So it’s worth keeping the card year after year! TravelCardFinder Will Help You Find a Perk That Makes the Card Worth Keeping! If you’ve been involved in this hobby for a while, you’ve probably heard of the Chase “5/24 rule”. If you’ve opened 5+ cards from any bank in the past 24 months, it’s unlikely you’ll be approved for some of the best travel rewards cards out there! But certain small business cards, like those issued by American Express, do NOT count against this rule. 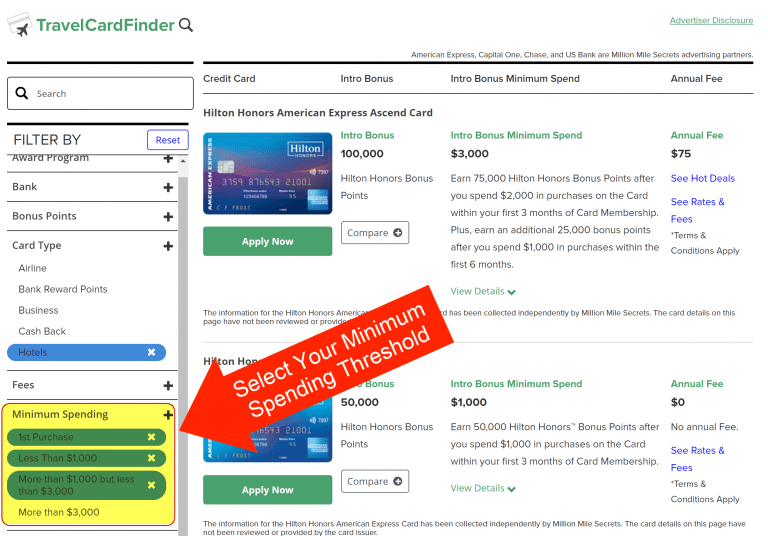 If you want to continue earning valuable sign-up bonuses while staying under the Chase “5/24 rule”, TravelCardFinder can help you! Note: You should only apply for a small business card if you have a for-profit venture. However, lots of things qualify as a small business that you might not expect! Like providing child care, selling items on eBay, coaching a sports team, or tutoring. 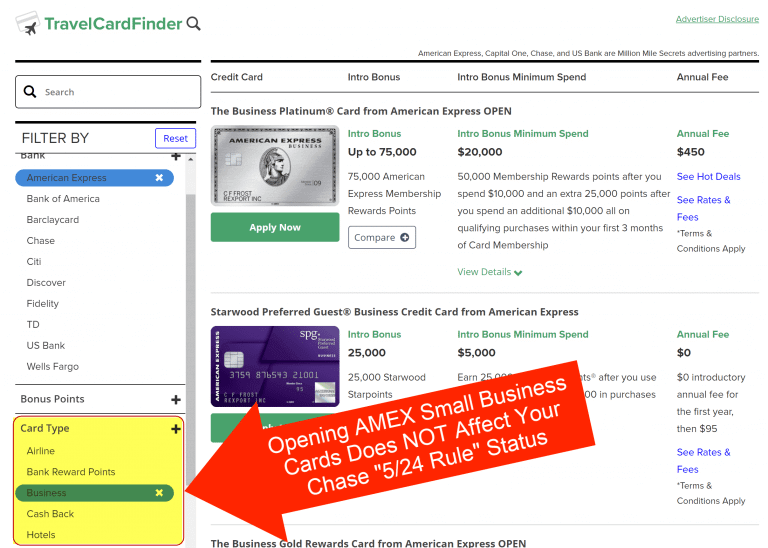 AMEX personal credit cards WILL count against the “5/24 rule”. But small business cards will NOT. 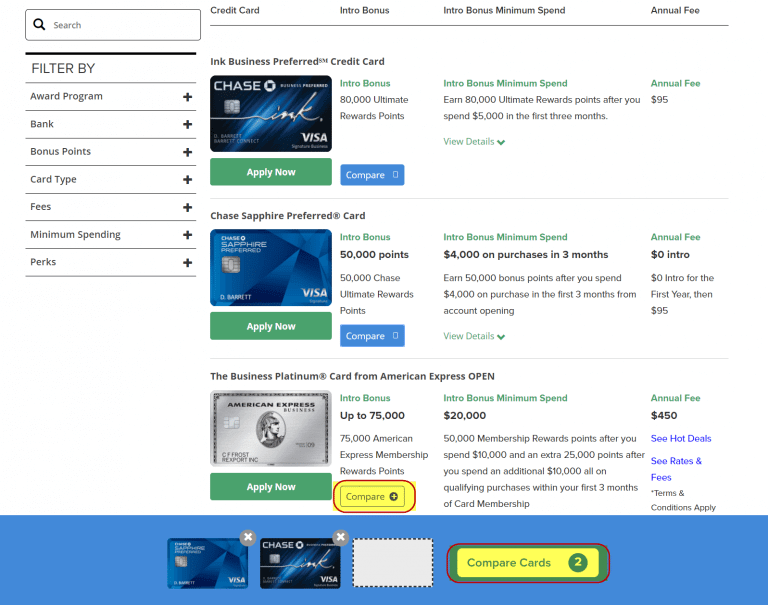 Under “Card Type“, filter your results to show only small business cards. 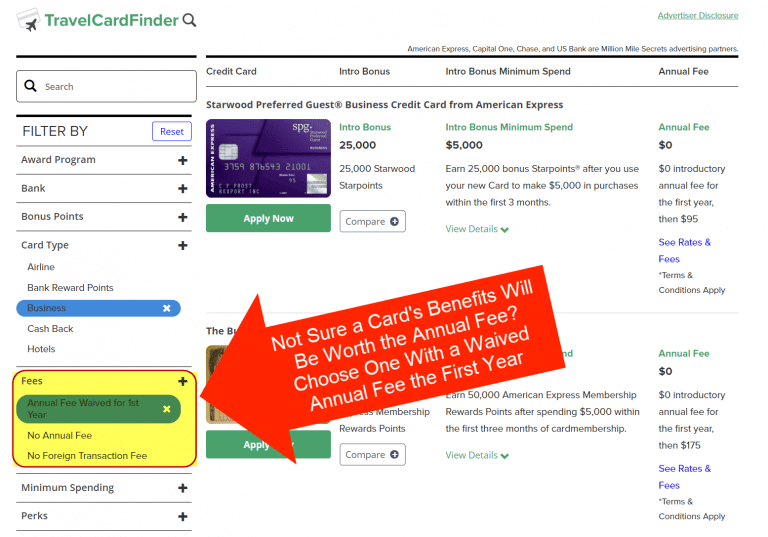 If you’re not sure the card’s ongoing benefits will be worth the annual fee, you can search for cards with the first year’s annual fee waived. If you want to travel internationally, you might be interested in an airline credit card that collects miles you can redeem towards free flights. Under the “Card Type” filter, select “Airline“. If you’re traveling abroad, you should make sure you have a card that doesn’t incur foreign transaction fees! If you don’t, you could pay up to 3% of every purchase you make outside the US. 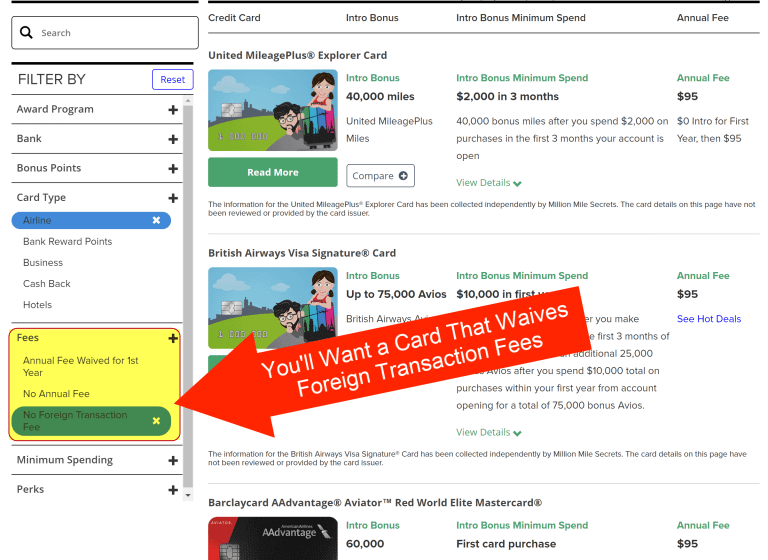 If you don’t already have a card that waives these fees, you should click “No Foreign Transaction Fees” under the “Fees” filter. Many airline cards have unique benefits, like bonus points on your cardmember anniversary, lounge access, or Global Entry credits. If you plan to rent a car overseas, one great way to save money is to reserve your rental with a card that comes with primary rental car insurance. That way you can waive the rental car agency’s CDW insurance, which can easily cost $15+ per day! 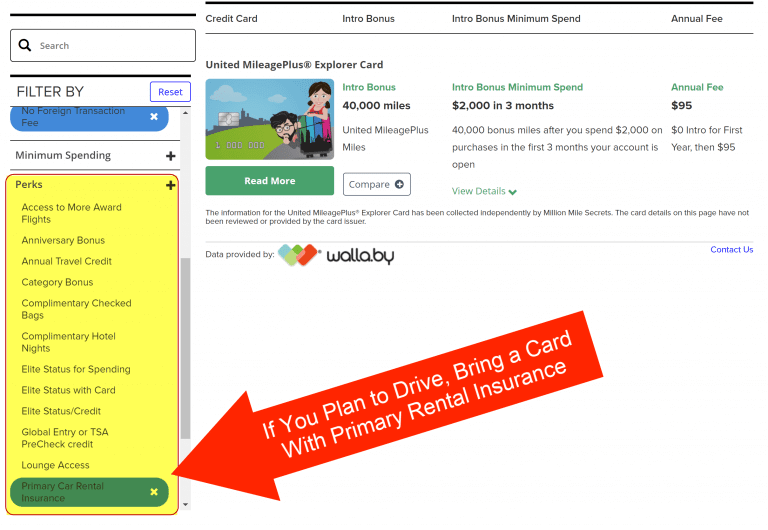 Click “Primary Rental Car Insurance” under the “Perks” filter. 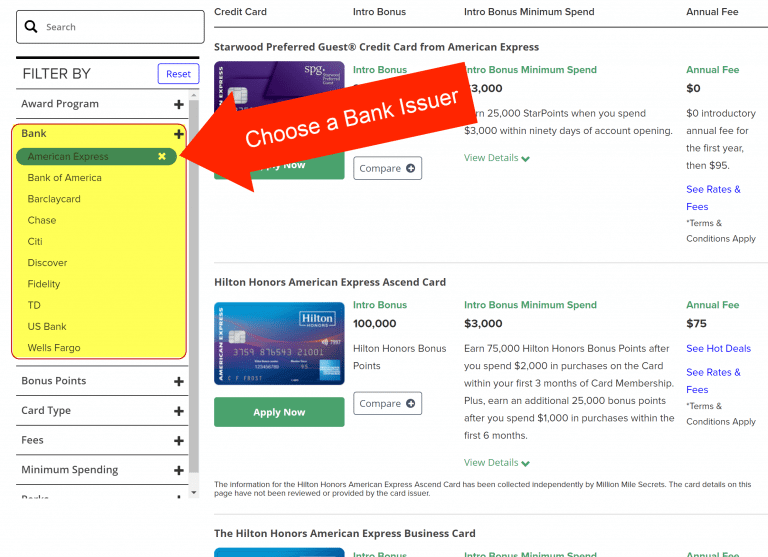 Everyone has different goals when applying for credit cards. No matter your motivation, TravelCardFinder can help you achieve those goals! 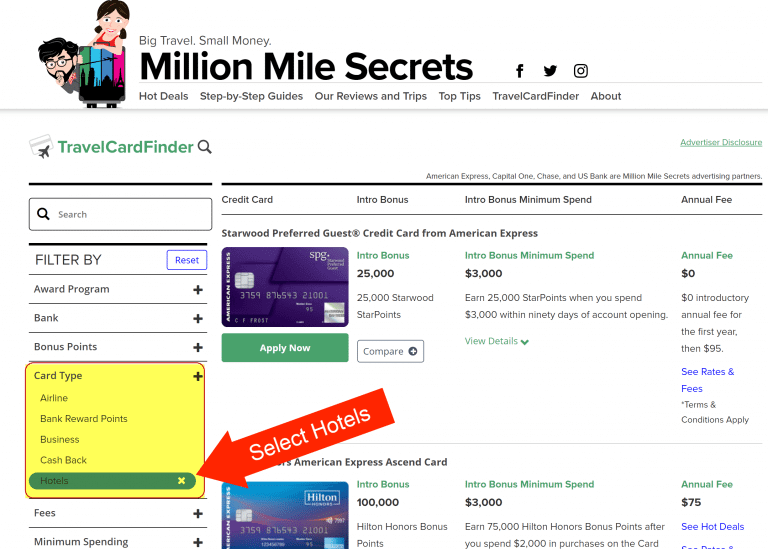 Whether you want to fly internationally in Business Class, earn a free hotel stay stay in a small town, or just earn as much cash back as possible, you can find your perfect card with a few clicks. 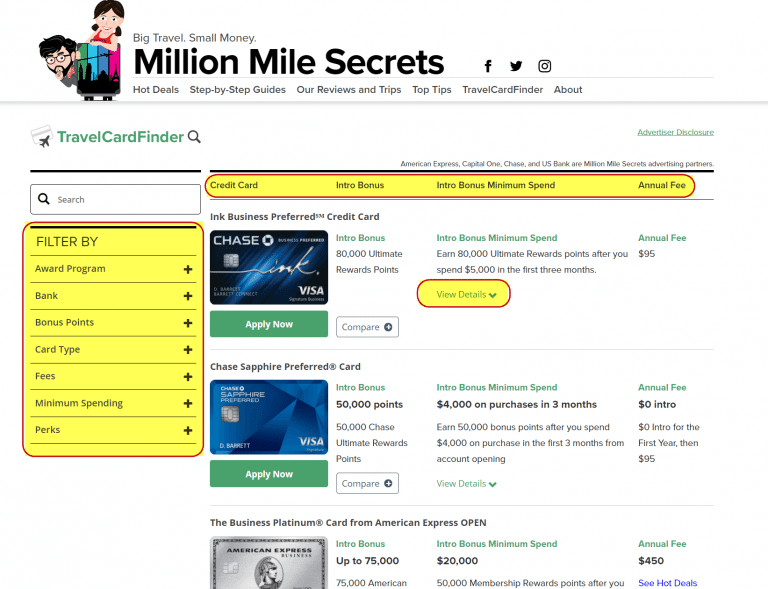 Just use our handy filters to search 100+ credit cards and find the best fit for your wallet!